There were a lot of things I expected to struggle with when I started learning guitar. I knew learning the chord positions would be tough. I knew training my fingers to move across the fret board would be tough. I knew getting the hang of strumming patterns would be tough. What I didn’t know was that the strings were going to burn my fingers like fire. The worst offender was that stupid sixth string. It was thin as a cheese wire and the responsibility for holding it down almost always fell on my unfortunate pinky finger. The other five weren’t exactly comfortable either. After 30 minutes to an hour of playing, my fingertips would inevitably be adorned with deep grooves from the pressure of holding down the strings—throbbing and raw, almost as if pleading to know for what crime they were being punished. I started to notice something, though. The more I practiced, the less painful it was on my fingers. After a few practice sessions, I found I could spend more and more time playing before my fingers cried out in protest. After two years of regular practice, I could mash my pinky against that sixth string like it was nobody’s business. What changed? It sure wasn’t an increased tolerance for pain. (I’m still every bit as much a sissy when it comes to garroting my fingers with cheese wire). No, the real difference was that my fingers had developed callouses. A callous is the human body’s natural response to repeated pressure and friction. Wikipedia defines them as “the accumulation of terminally differentiated keratinocytes” held together by “extensive networks of cross-linked proteins and hydrophobic keratin intermediate filaments containing many disulfide bonds.” What does that mean? I have no idea, but it sure sounds impressive. Basically, a callous is a bunch of dead cells that your body stitches together to protect itself from future abrasions. Because a callous can’t feel anything, it serves as a terrific defense against many of the repeated pokings and proddings we might subject ourselves to on a regular basis. 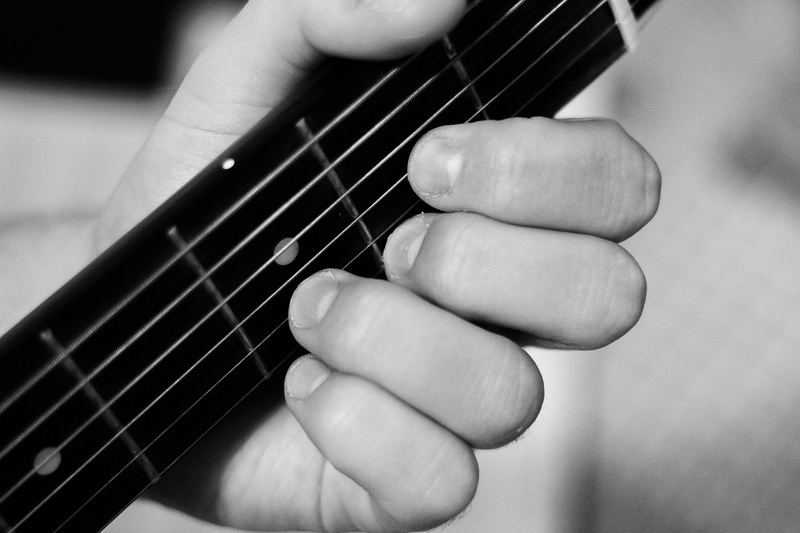 Guitarists and violinists develop callouses on their fingertips; dancers get them on their feet; construction workers get them on their hands. 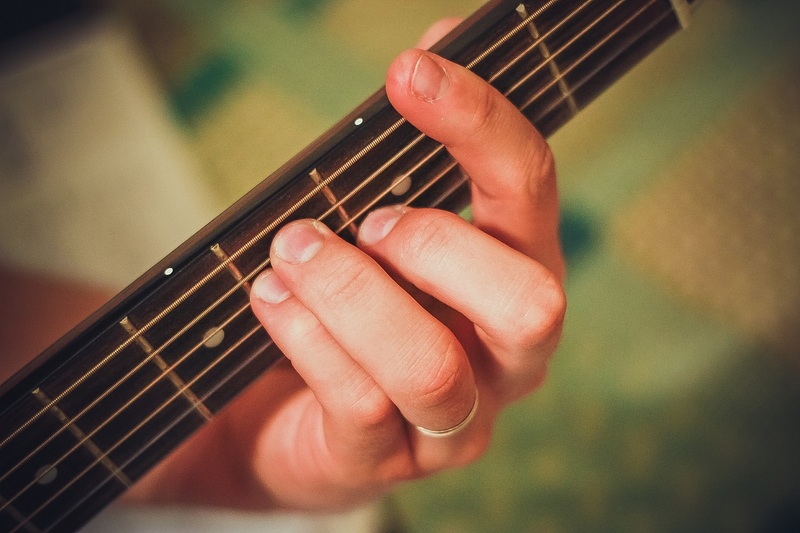 In each case, callouses allow us to perform actions that would otherwise bring pain or discomfort: playing an instrument, executing a complicated dance move, or using heavy equipment. This is almost always a positive thing. God works with us in a lot of different ways, but one of the biggest is the interaction of His Holy Spirit with our human spirit. We know from the Bible that God uses His Spirit to lead us (Romans 8:14), to teach us (John 14:26), and to communicate with us (Romans 8:26). That same Spirit allows us to understand spiritual truths that, to our carnal minds alone, would sound like foolishness (1 Corinthians 2:14)—and, when we veer away from those truths, it is God’s Spirit which convicts us (John 16:8). Well, except when it doesn’t work. There are times when God sends us a message through His Spirit and it just doesn’t get through to us—but it’s certainly not because God isn’t trying hard enough. In moments like these, the fault lies with us. Standing before the council with his life hanging in the balance, it was the disciple Stephen who addressed the heart of the problem. After recounting the troubled history of the nation of Israel, he turned to his accusers and chastised them: “You stiff-necked and uncircumcised in heart and ears! You always resist the Holy Spirit; as your fathers did, so do you” (Acts 7:51, emphasis added). Strange as it sounds, it is possible to resist the Spirit of the Almighty Eternal. If we choose to, we too can go through life with a stiff neck and an uncircumcised heart. God nudges us, but we plant our feet and refuse to budge. And what happens then? Pressure. Friction. When we make a habit of ignoring God’s guidance, we create the perfect environment to develop a spiritual callous. The more God tries to reach us through His Spirit, the more we build up the wall between ourselves and our Creator. Every moment we continue in that resistance moves us that much closer to the darkest road any human being could ever travel—a road that a man after God’s own heart once came dangerously close to taking. Those were the words that jarred King David from what appears to be nine or more months of resisting God’s Spirit. Before that moment, David had performed unthinkable sins. He had committed adultery, he had murdered a devoted servant, he had lied, he had deceived, he had stolen, he had manipulated—and the Bible account records it all without mentioning a shred of remorse from the king God had expressly called “a man after My own heart” (Acts 13:22). How could anyone, especially someone once so close to God, find his way to a place that dark? How could anyone commit such villainous acts without shattering his conscience? How could David do what he did and still function as a human being? David had a callous. There was a spiritual dead space between him and God—because every time God tried to nudge David’s conscience, David pushed back. Pressure. Friction. Over time, it built a layer of spiritual deadness that operated just like a callous. It made God’s nudges less and less noticeable…until he stopped noticing them altogether. That’s why he was able to lust after another man’s wife. That’s why he was able to send for her and lie with her. That’s why he was able to send that wife’s husband into certain death without batting an eye. That’s why, that’s why, that’s why. His relationship with God was being choked to death by his own stubborn resistance. When Nathan the prophet came before the king, all evidence suggests that David didn’t care about what he’d done. Nathan’s story about a heartless rich man who robbed his poor neighbor of a beloved sheep didn’t even strike David as familiar. David was furious with the rich man, immediately demanding the rich man’s life as punishment, “because he did this thing and because he had no pity” (2 Samuel 12:5-6). It wasn’t until Nathan’s chilling reproach that the full weight of David’s actions came crashing down on him. He was the rich man. He had stolen, he had murdered—and until now, it hadn’t even phased him. If not for that moment, David may well have gone on “not caring” his way out of his place in God’s Kingdom—the same fate that awaits anyone who makes a permanent lifestyle out of resisting God’s Spirit. The good news is that callouses don’t have to be permanent. Not for David, not for you and I—not for anyone. After two years of constant guitar lessons, life started to get busy. I moved to a new state, I continued my education, I met my soon-to-be wife, I moved again, I started a new job, I got married, I started school again—you get the idea. Guitar stopped being so high on the priority list. As I played less and less, I started to notice a change—my callouses were vanishing. Whenever I did make time to play, I found the strings caused me the same familiar discomfort they’d caused me all those years ago. Because that’s how it works: the best way to remove a callous is to stop doing the things that helped form it. It doesn’t happen overnight, but little by little things start getting back to normal—and spiritually, the process isn’t much different. We repent, admitting to God where we went wrong and asking His forgiveness. We strive to stop doing whatever sin caused the need for repentance in the first place, and then we continue seeking God. As we distance ourselves from our poor choices and move closer to God, we’re going to find our connection with His Spirit strengthening. No callous needs to stand between us and God. David overcame his callouses, and we can overcome ours. The man after God’s own heart understood the vital role God’s Spirit played in his life, and he was desperate not to lose it—so he made a change. Callouses are temporary, but only if we want them to be. How long they last and how strong they become depend entirely on us.